Award winning Rudding Park in Harrogate, North Yorkshire, is a privately owned luxury hotel, spa and golf course set in 300 acres of beautiful parkland within easy access of both York and Leeds. The Grade I listed Regency house incorporates 21st-century comforts by fusing contemporary design with traditional elegance and offers a range of experiences to suit all tastes. The stylish 88 bedroom hotel also features a spa and private cinema and has achieved numerous accolades, including being voted in the Top Three Best Hotels in UK for ten consecutive years, TripAdvisor Travellers' Choice Awards 2016. The spa consists of four treatment rooms, including a Hammam and a steam room. At Rudding Park we have a wide selection of treatments for men and women using some of the world’s finest product ranges. From facials to massages, Hammam scrubs to manicures, there are many ways to relax and re-energise. The Spa features three luxurious product ranges; the unique and highly prestigious Parisian skincare range by CARITA, handmade UK organic skin and body care products by, and the Aromatherapy Associates range, whose beauty treatments are rich in precious essential oils and active botanical extracts. If food is your passion, then look no further than the contemporary 2 AA Rosette Clocktower restaurant and bar at Rudding Park, with monthly menus using local, seasonal ingredients served in stunning surroundings. Dine in the restaurant underneath the striking pink glass chandelier from Nice, relax in the bright and airy conservatory alongside the 400 year old olive tree or simply enjoy a drink at the cosmopolitan bar. The restaurant is open for dining all day, every day. For golf enthusiasts, the facilities are second to none. Rudding Park Golf is the leading golf facility in North Yorkshire. From the 18 hole parkland Hawtree golf course to the 6 hole par 3 Repton Short Course which includes a replica of the notorious island hole at Sawgrass, Florida, there is something to tempt even the most seasoned Pro, as well as the novice. A team of resident PGA Professionals, cutting edge practice facilities and an 18 bay floodlit driving range make Rudding Park Golf Academy the ultimate golfer’s venue. As a business venue, the conference and banqueting rooms cater for small meetings and events to large conferences of up to 350 people. Rudding Park can also organise tailor made corporate events and activity days. Whether it be a staff incentive or a team building day, you can be sure Rudding Park has something spectacular to offer. 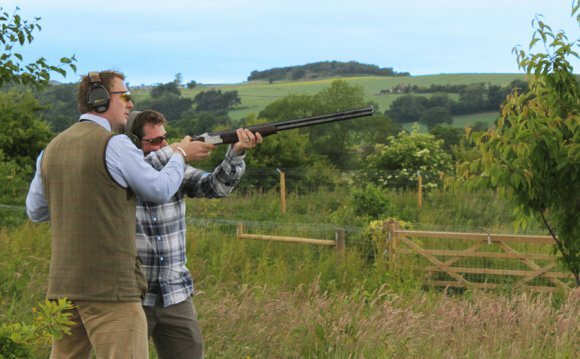 For example take the team to clay pigeon shooting, sample the thrills of quad biking or simply play a relaxing round of golf at one of the finest golf clubs in the North of England. The Regency house and mature gardens are an ideal venue for any occasion. This converted Grade I listed building, set in mature gardens, is an idyllic venue for a special occasion, or .